What’s a chicken dinner without apple pie? I don’t know but the term “un-amurican” comes to mind. So here is the dessert I whipped up while my chicken was in the oven, and baked while we ate dinner. A quick apple pie! For the dough I used my Grandmother’s no chill pie dough recipe, which besides being fast, is also super delicious. Here is an instructable, which shows the recipe and directions. Click on box to start instructable and then click on steps at top to scroll through each one. The amount of sugar depends on the sweetness of the apples. 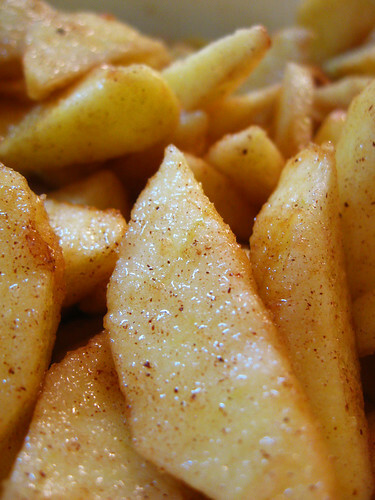 My apples were naturally really sweet so I only added 1/2 cup. 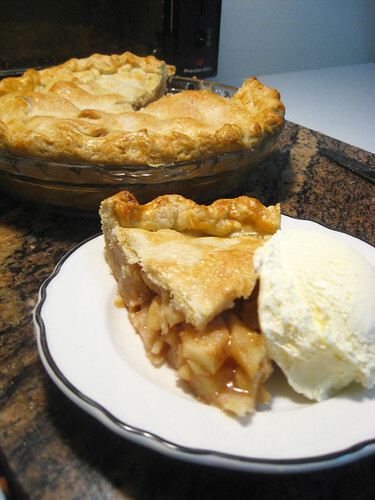 I love adding rosewater to apple pie because it compliments the apples so nicely yet in a very subtle way. 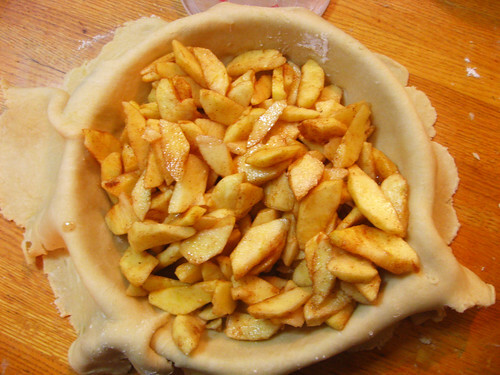 After a quick hand mixing of the sugar/cinnamon and rosewater into the apple slices, I placed the butter slices on the mixture and covered with the top pie crust layer. I cut a few slits into the pie crust to allow for the pie to breath and brushed with egg yolk. I baked the pie for 30-45 mintes at 375 degrees or until golden brown. Then its ready to be served; we chose a la mode! A quick dessert with a quick dinner. We were all winners! 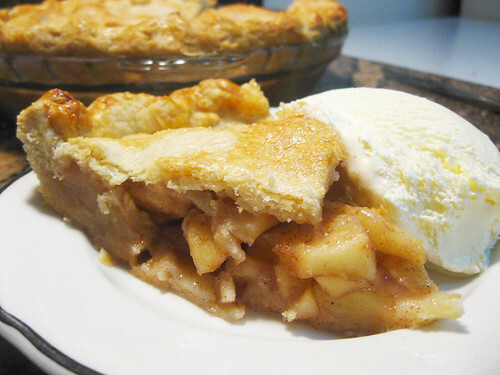 “Shank” you VERY much for baking us this CRAZY DELICIOUS apple pie! And for a 5 minute crust? This pie was incorrigibly flaky, take my word for it. I remember baking a pie with you three Thanksgivings ago and it was truthfully very easy, even for someone who finds making Ramen slightly difficult at times (if the powder spills out of the packet).